Already during her studies she made her debut at the Leipzig Opera in the role of Barbarina in Mozart‘s „Le Nozze di Figaro“. A guest engagement followed at the Landestheater Altenburg where she sang Susanna in „Le Nozze di Figaro“ and Pamina in „Die Zauberflöte“. In 1996 Uta Schwabe gave her debut performance at the Vienna State Opera, singing the role of Blonde in “Die Entführung aus dem Serail“. She premiered with the same role at the Hamburg State Opera and Berlin State Opera. During the 1997/98 and 1998/99 seasons she was an ensemble member of the Vienna State Opera where she appeared as Adele in „Die Fledermaus“, Echo in „Ariadne auf Naxos“, Papagena in „Die Zauberflöte“ as well as Woglinde and Waldvogel in Wagner‘s Ring. Further guest engagements brought her to the Bregenz Festival where she sang Oscar in „Un Ballo in Maschera“, and to the Kassel State Theater as Pamina. She has also appeared at the Schwetzingen Festival and at the „Mozart in Schönbrunn“ Festival. Parallel to her Opera appearances Uta Schwabe has been an active concert performer. She has performed as soloist with the Dresdener Kreuzchor, the MDR Symphony Orchestra, the Berlin Symphony Orchestra, the Vienna Symphony Orchestra, the Munich Chamber Orchestra, the Stuttgart Chamber Orchestra, the Gewandhaus Orchestra Leipzig, La Petite Bande and the Klangforum Wien. She has worked with such conductors as Lothar Zagrosek, Horst Stein, Fabio Luisi, Marcello Viotti, Peter Schneider, Donald Runnicles, Sigiswald Kuijken, Frieder Bernius, Cristoph Poppen, Thomas Hengelbrock and Friedrich Cerha. She has recorded for London Decca, Hyperion and the Deutsche Harmonia Mundi. 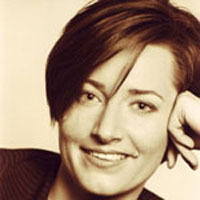 Uta Schwabe was appointed Professor of Singing at the Music and Art University of the City of Vienna in 2006. Her students have consistently been winners or finalists in prominent singing competitions and have gone on to engagements as soloists in such Opera houses as the Frankfurt Opera, the Vienna State Opera, the Komische Oper and the Deutsche Oper Berlin, the Dresden State Opera, the Vienna Volksoper, and the Finnish National Opera. She is frequently invited to give master classes at major universities in Europe and overseas. 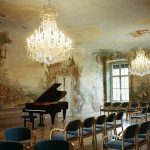 To be prepared: selected freely and memorized from the following program: 6-9 Lieder and arias from opera, oratorio and concert. One ore more pieces from Viennese Classics are recommended. Qualification: adequate mastery of vocal technique. Please send in a web-based tone/video document along with your application.